Customs Compliance, Trade Compliance, Trade Facilitation and Customs Modernisation Consultants providing services to both the private and public sectors. Our approach is one that attempts to apply the energy, experience and resourcefulness of our experienced practitioners to the task of ensuring the success of our clients. In doing so, we have built a reputation for first-class client service, problem-solving and technical excellence. Our industry-driven approach helps us develop a deep understanding of our clients’ businesses and provides them with an informed perspective on the customs and international trade issues they face. We view a business in terms of its industry landscape – the markets, the cycles, the trends – the countless factors that give the industry and its challenges their unique character. To this knowledge, we then apply our unrivalled customs and international trade consulting skills. Please click on the link below to learn more about the industry-driven services that we offer to clients around the globe. Customs Compliance and Trade Compliance Consultants specialising in the creation of customs and global trade solutions and strategies for multi-nationals and mid-market clients, encompassing inter alia customs, freight management and global trade management systems. We work closely with a worldwide network of the very best customs and international trade consultants and lawyers. Our objective is to maximise cost and administrative efficiencies whilst ensuring compliance with all relevant international trade rules and regulations. Throughout the process, equal attention is given to planning as well as compliance. We work with our clients to identify potential commercial transactions that may have customs and trade compliance implications and then to arrange those transactions in such a way as to obtain the optimum treatment under customs and international trade law and practice. Our advice would cover inter alia whether goods can be traded; the nature, content, specification, source, origin, cost, selling price, and marketing of goods; the terms on which they are sold and purchased; the location of manufacturing operations; the design of physical distribution facilities and systems; and the international structure of companies. It is vital that customs and trade compliance issues are covered in any proposed international trade transaction at the outset otherwise, it may be too late to incorporate them once goods have been purchased. It could even be too late once they have been manufactured. On the other hand, significant financial savings and operational benefits await those companies which recognise not only the benefits of customs and global trade compliance but the necessity of undertaking it as an integral part of the total business planning process. Our client base is mostly from Western Europe, North America and North Asia. In the last two decades, we have covered practically every industry sector including, Automotive, Chemicals, Oil & Gas, Retail & Consumer Products, Communications and Food & Drink. Customs Modernisation and Trade Facilitation Consultants providing consultancy services to governments and donors alike. We focus on improving the efficiency and effectiveness of Customs administrations and other border agencies in line with internationally recognised benchmarks such as the World Bank’s Trading Across Borders Index, or the World Bank’s Logistic Performance Index, or the OECD’s Trade Facilitation Indicators. Our services deliver significant dividends for governments and donors alike and allow developing countries to take advantage of the opportunities provided by the expanding global trading system. We have performed customs modernisation and trade facilitation assignments in over 60 countries in Europe, Asia-Pacific and Africa. Clients include the European Union, UNDP, ADB and the World Bank. Every business involved in the movement of goods between different countries is exposed to international trade regulations and to the customs duties and taxes imposed on most imports and some exports. Such exposure can prove extremely costly unless it is managed and controlled through careful and timely planning. Significant financial savings and operational benefits await those companies which recognise not only the benefits of customs planning but the necessity of undertaking it as an integral part of the total business planning process. Please click on the link below to learn more about the vast array of customs advisory services that we offer. We provide well-designed and targeted Customs Modernisation & Customs Reform Services focussed on improving the efficiency and effectiveness of Customs administrations which deliver significant dividends for governments and donors alike and allow developing countries to take advantage of the opportunities provided by the expanding global trading system. We have worked in over 50 countries in Europe, Asia-Pacific and Africa. Clients include the European Union, UNDP, ADB and World Bank. Although often conveniently referred to as customs matters, the measures governing international trade go far beyond basic import and export procedures and the payment of duties; they impact a wide range of commercial policies and transactions and are material to the activities of almost every function of the business. If your business is exposed to trade policy in addition to customs considerations, please click on the link below to learn more about the vast array of global advisory trade services that we offer. Our freight audits offer an informed, objective and impartial analysis of a client’s freight forwarding arrangements. A client could use the findings of a freight audit as a comfort check, or a bargaining tool to obtain an improved deal on rates and service levels from current, or future suppliers of freight services. Our proven freight tender methodology has resulted in improved service levels and savings in excess of US$1.5 million for at least two clients. Please click on the link below to learn more about the vast array of logistics advisory services that we offer. Our industry-driven approach helps us develop a deep understanding of our clients’ businesses and provides them with an informed perspective on the customs and international trade issues they face. We view a company in terms of its industry’s competitive landscape – the markets, the cycles, the trends – the countless factors that give the industry and its challenges their unique character. To this knowledge, we then apply our unrivalled customs and international trade consulting skills. Please click on the link below to learn more about the industry-driven services that we offer to clients around the globe. We have offices in Europe, Africa and the Far East supplemented by a global network of associates and overseas partners. We have provided customs modernisation and capacity building services in the following countries: Bangladesh, Bermuda, Bhutan, Botswana, Bulgaria, Cambodia, Egypt, Ethiopia, Fiji, India, Indonesia, Kazakhstan, Kenya, Kiribati, Kosovo, Kyrgyzstan, Laos, Lesotho, Malawi, Malaysia, Marshall Islands, Mauritius, Moldova, Myanmar, Namibia, Nepal, Nigeria, Palau, Philippines, Romania, Seychelles, Singapore, South Africa, Swaziland, Tajikistan, Thailand, Togo, Turkmenistan, Tuvalu, Uganda, Ukraine, Uzbekistan, Vanuatu, Vietnam. Take some time and learn about our Benchmarking Services? ...or maybe refresh your memory on the key provisions of the Sarbanes-Oxley Act? “I have worked with James on several occasions and on different topics. In Moldova, in 2008, I met James when he delivered an extensive training on Customs Origin and Valuation. The knowledge he has on these Customs issues is prooven to be on a very high level. When I met James again in Kosovo in 2010 he delivered a comprehensive and high-quality report on Supply Chain Security for the Customs. The quality of his work, his knowledge on many terrains and his easy way to communicate are impressive. A great colleague to work with”. Deep knowledge on customs issues. Easy to communicated with and find best solution. Robert Maros, Stambeni servis – poslovni centar d.o.o. “I have worked with James on several occasions and on different topics. In Moldova, in 2008, I met James when he delivered an extensive training on Customs Origin and Valuation. The knowledge he has on these Customs issues is proven to be on a very high level. When I met James again in Kosovo in 2010 he delivered a comprehensive and high-quality report on Supply Chain Security for the Customs. The quality of his work, his knowledge on many terrains and his easy way to communicate are impressive. A great colleague to work with”. “I worked for James for over two years while he led KPMG’s international trade & customs practice. He is a great leader who supports his team and earns the respect of those he works with. He has an excellent ability to grasp quickly complex customs compliance issues and to mitigate the underlying liabilities with appropriate business solutions. His intellect and ability to identify duty savings opportunities will enable him to be successful in any situation. I very much enjoyed working with James and would highly recommend him”. 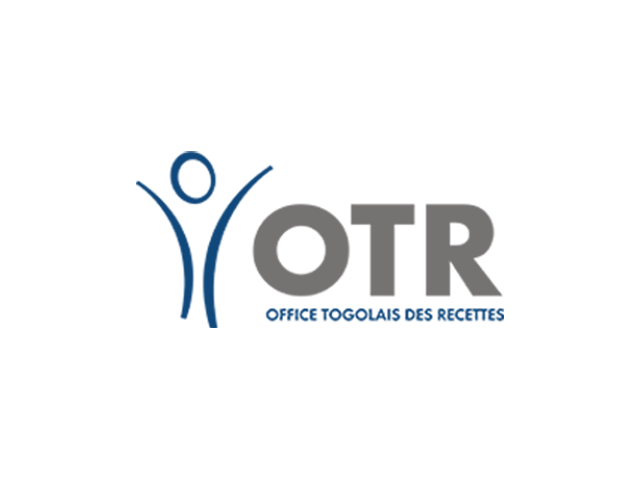 Project (P150) for the TradeCom Facility Program, on behalf of the Regional Authorising Officer for the European Development Project N° 9. ACP. RPR. 007 – CRIS 2009/226842:Fiji, Kiribati, Palau, Republic of Marshall Islands, Tuvalu, Vanuatu & PNG. Technical Assistance for Trade Enhancement Programme C in Egypt: Project No: 4901J: Egypt. UNDP Border Management Programme in Central Asia – Phase 6 (PID 00059330): IBM review of 3 major trade corridors in 5 Central Asian states using UNESCAP methodologies: Kyrgyzstan, Kazakhstan, Tajikistan, Turkmenistan & Uzbekistan. EU Border Assistance Mission to Moldova & Ukraine (EUBAM) Project ID. 00058842: Origin training for Moldovan & Ukrainian Customs & EUBAM: Moldova & Ukraine.